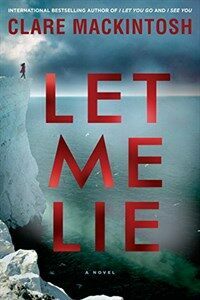 In the newest psychological thriller from the New York Times bestselling author of I Let You Go and I See You, Clare Mackintosh brings us a gripping story about how those who love us never really leave us...Two years ago, Tom and Caroline Johnson committed suicide, one seemingly unable to live without the other. Their adult daughter, Anna, is struggling to come to terms with her parents' deaths, unable to comprehend why they chose to end their lives. Now with a young baby herself, she feels her mother's presence keenly and is determined to find out what really happened to her parents. But as Anna digs up the past, someone is trying to stop her. She soon learns that nothing is as it seemed.